Check out how we are helping people create in our community! We are dedicated to promoting the fine art of printmaking by providing a vibrant learning community and access to professional equipment and facilities. The shop incubates artistic expression through its educational opportunities, while simultaneously creating workspace opportunities for shop members and printmakers in our community. The Print Club is the “hub” of the Newark Print Shop. As a weekly open-studio, artists of all levels are invites to come and create prints. Artists are encouraged to work in a collaborative setting. 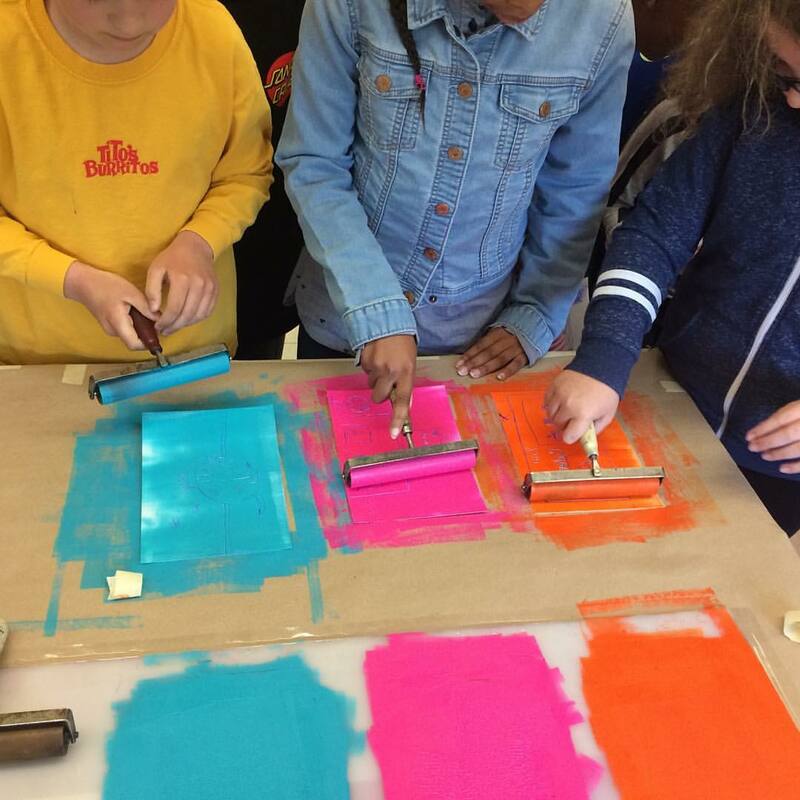 In exchange for unlimited access to NPS to explore and engage with printmaking, residents attend our weekly open studio Print Club to assist participants and first time printers. Our gallery hosts exhibitions displaying fine art prints. We curate works created in the Printers in Residence program as well as a diverse pool of contemporary printmakers. Our Printers in Residence Program offers 3 artists the opportunity to create prints in our shop for 6 months culminating in an exhibition. A monthly event of wining and dining and of course printmaking! Experience an evening of screen printing, drinks and gourmet tapas. Stay connected with the Newark Print Shop! Receive updates on our exhibition space dedicated to the Fine Art of Printing. I would like to get news & updates about NPS. Donate to the Newark Print Shop today and help us continue to share the fine art of printmaking by providing access to a vibrant learning community and professional equipment and facilities.